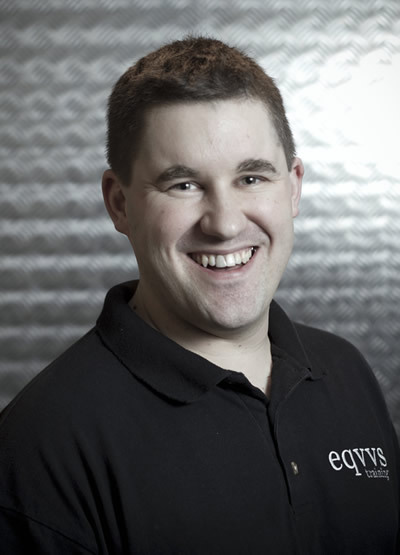 Mark Harrop - Personal training at Eqvvs is one-to-one. He’s been at the forefront of personal training in London since 1998. He’s opened and operated several high profile studios across London. And his reputation for recruiting, training and developing the very best personal trainers ensures that when the leading commercial operators are hiring, they ask Mark to find the right people for them. Yet, if you ask Mark what gives him a buzz, his answer is simple. Mixed nuts but cashews are a particular favourite. Heaven: fillet steak with spinach and mash. Hell: anything with mushrooms in!